EA is offering everyone the chance to play FIFA 17 for free this weekend. So if you have eaten too much turkey, grown tired of talking to your family, and spent too much money on Black Friday bargains, why not play some soccer online with other Thanksgiving veterans? 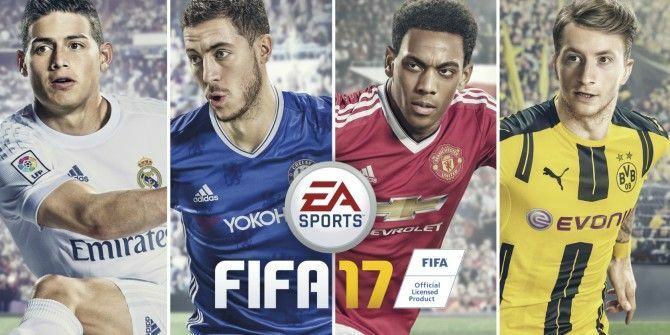 EA released FIFA 17 at the end of September to extremely positive reviews. The critical and commercial success means this may just be the best version of FIFA ever released. And now it’s free to play for one weekend only. Just like Overwatch was last weekend. The FIFA 17 free trial is available on PS4 and Xbox One from now until 11:59 PT on Sunday (Nov. 27). The free trial version allows you to play for a maximum of 10 hours over the course of the three days. Any in-game progress will be saved for if and when you buy the full game. The only requirements on both systems being a persistent internet connection and an EA account. All game modes and features are available during the free trial. This includes a portion of “The Journey”, a single-player story campaign mode which has split opinion. If you try FIFA 17 this weekend and like it enough to splash some cash, you should be able to pick up a copy on Black Friday or Cyber Monday 7 Scams to Watch Out for on Black Friday and Cyber Monday 7 Scams to Watch Out for on Black Friday and Cyber Monday While you shop for deals this Black Friday and Cyber Monday, scammers will be looking for YOU. Here's how to shop safely online. Read More . After all, FIFA 17 seems to be on sale everywhere right now, including the Xbox Store and the PlayStation Store. If you try FIFA 17 but can’t afford to buy your own copy, I recommend hunting down a copy of FIFA 16 instead. EA only makes incremental changes to its sports games each year, so while there will be some differences, FIFA 16 is still a good buy at a fraction of the price. Will you be playing FIFA 17 for free this weekend? If so, tell us what you think of it. Do you already own a copy of FIFA 17? If so, how do you rate it compared to the previous versions? Is it the best FIFA title yet? Please let us know in the comments below! Explore more about: Free Games, PlayStation 4, Sports, Xbox One.